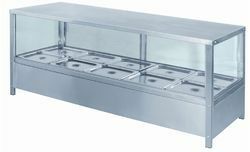 Offering you a complete choice of products which include ss kitchen utility trolley, ss plate storage rack, ss food serving counter, spice trolley, spoon sterilizer and food warmer bain marie. 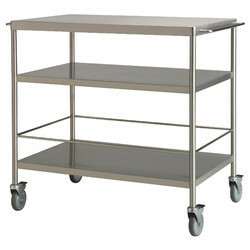 We are proving an outstanding range of SS Kitchen Utility Trolley. 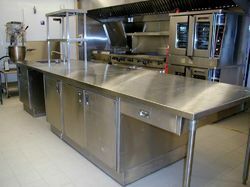 Our wide variety is a very valuable and necessary item in any kitchen. These Kitchen Utility Trolley are very portable and can be taken anywhere. 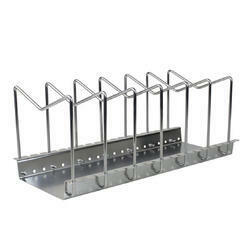 We are highly regarded across the industry with the domain of manufacturing a large assortment of SS Plate Storage Rack. 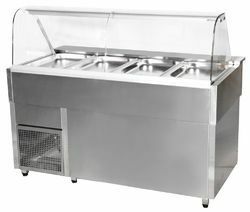 Customers can avail from us a high-quality SS Food Serving Counter. 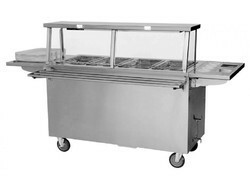 The Food Serving Counter offered by us is corrosion resistant in nature. As an affluent name of this domain, we hold expertise in presenting high-quality Spoon Sterilizer. The provided sterilizer is manufactured using premium quality material and latest techniques. 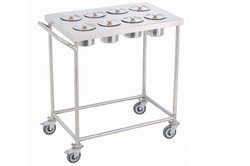 We have marked a remarkable position in the market by offering the best quality array of Bain Marie Food Warmer. 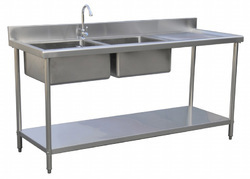 We are engaged in offering wide assortment of Commercial Kitchen Sink. Our product is highly acknowledged amongst the customers for their high grade quality and effectiveness. We offer product to our patrons as per their needs and in the committed time frame to meet the market demand. We are remarkable entity, engaged in offering high quality Two Sink Unit. 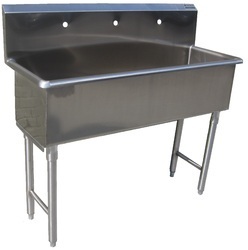 Extensively applicable in industrial canteens, hospitals, hotels, resorts, embassies, restaurants, canteens, offered sink unit is manufactured by our proficient professionals from premium quality components and the latest technology in line with industry norms. We are the number one company known for offering Steam Cooking Vessel to the clients. 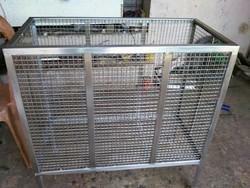 This product is offered in various specifications, dimensions as the requirements of the clients. 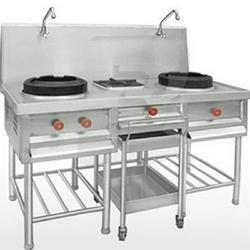 Offered range is a quality approved product by quality controllers and has been tested on various parameters. 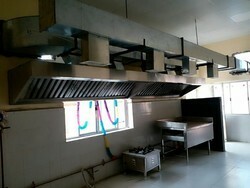 Steam Cooking Vessel is used in hotels, homes as need of clients.